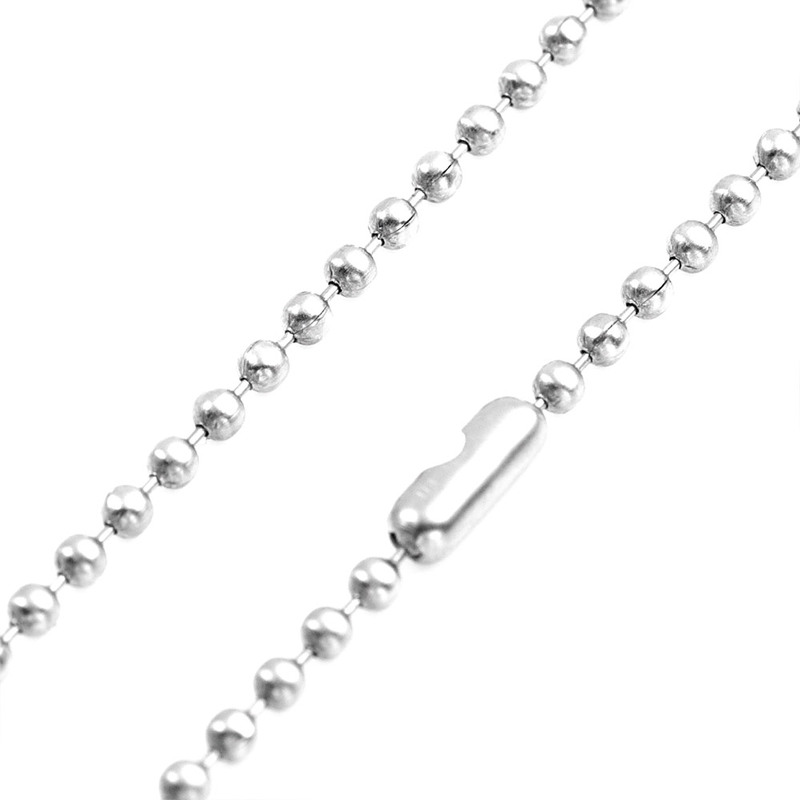 This stainless bead neck chain comes with a stainless connector. Simply cut the chain to the desired length. Works well with dog tags. 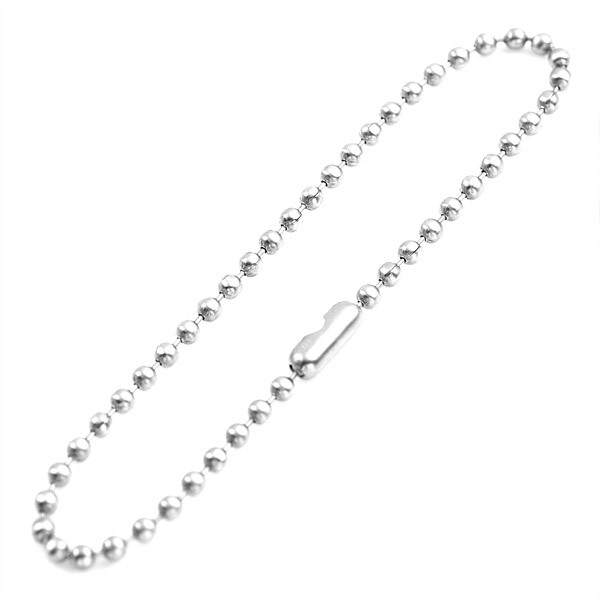 This chain is perfect for adding a second dog tag to create a military look.